Great Camp of the Adirondacks! 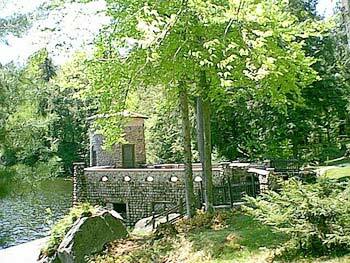 Please enjoy our virtual slide show of historic Camp Cobblestone! 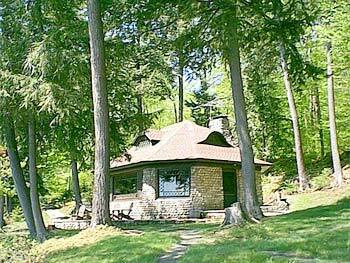 Camp Cobblestone represents one of the last remaining Great Camps in northern New York and was originally built by the father of Pennsylvania Governor George H. Earle Jr., between 1900 - 1915. 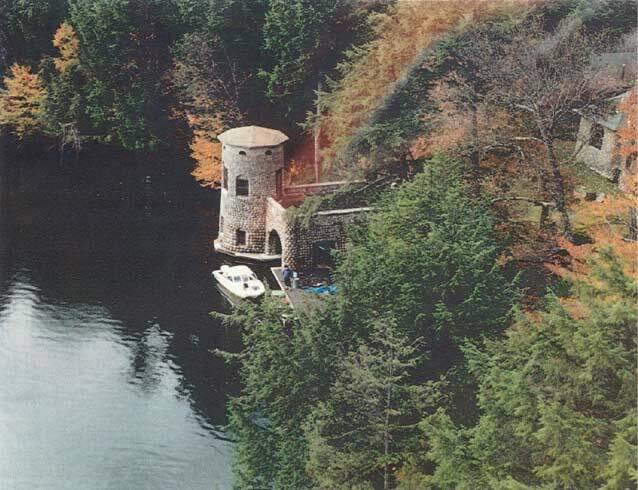 The estate is comprised of over 20 acres and includes eleven separate buildings and 1500 feet of prime waterfront on Spitfire Lake in the St. Regis chain. 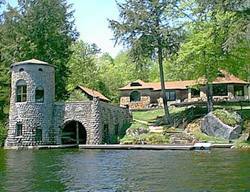 Camp Cobblestones remarkable architecture features a unique cobblestone boathouse, 2 story stone tower, a magnificent octagonal living room with diamond pane windows and numerous stone guest cottages and buildings. 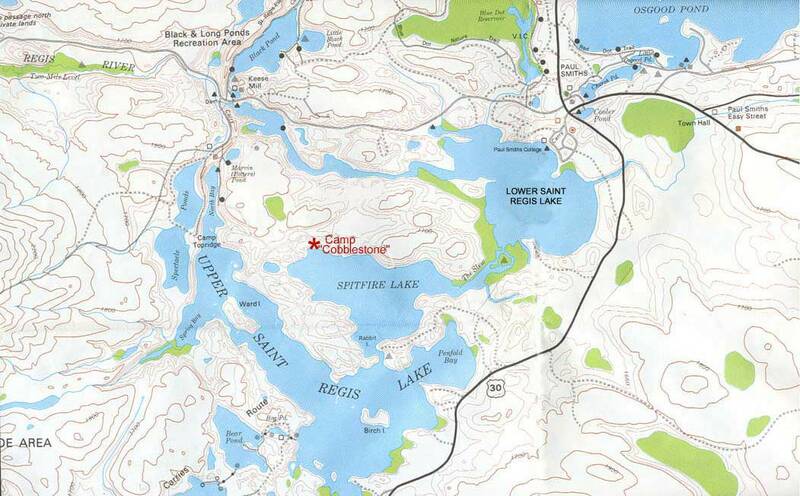 Camp Cobblestone is located within easy driving distance from large Metropolitan areas such as Albany (2 1/2 hours to the South) , Montreal, Canada (2 hours to the North) and Burlington, Vermont (2 hrs to the East) making it the perfect weekend getaway! Rob Grant & Associates Real Estate announced today that Camp Cobblestone has been chosen by the editors of Architectural Digest magazine as one of the outstanding " SELECT PROPERTIES " from around the world. 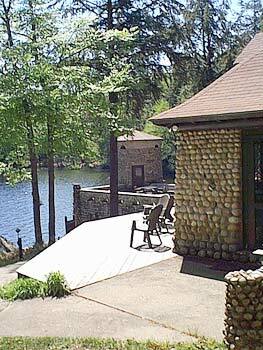 The historic significance of Camp Cobblestones unique architecture is highlighted by the main buildings which are constructed from individual cobblestones that were collected from the bed of the St. Regis River by workers retrieving the stones and placing them on horse-drawn barges. These barges were then equipped with sleds and pulled across the frozen lake during the winter so that stone masons could individually sort the smooth rocks according to shape and size. 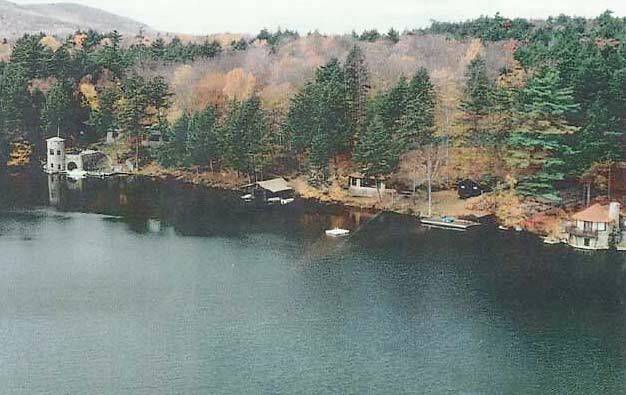 Each building within the camp compound features magnificent cathedral ceilings and large picture windows commanding sweeping views of both Spitfire Lake and Whiteface Mt. 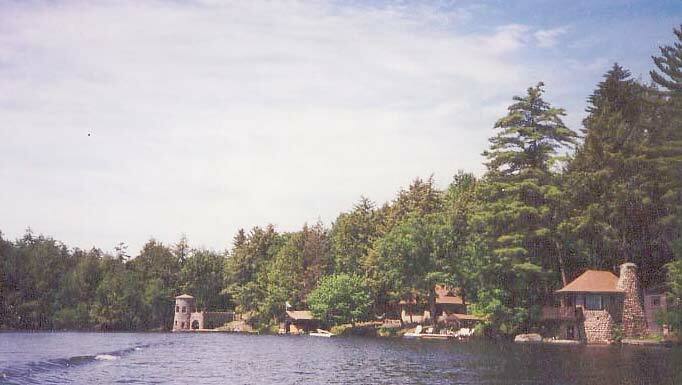 Camp Cobblestone's unique design with its living quarters spread amongst several buildings along the waterfront affords privacy for fifteen people. All of Spitfire Lake's shoreline is privately owned assuring the privacy of Great Camp owners for future generations. 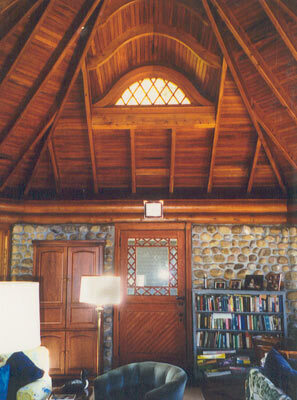 "Eyebrow dormers match the carpenter's art with that of Cobblestone's masons." 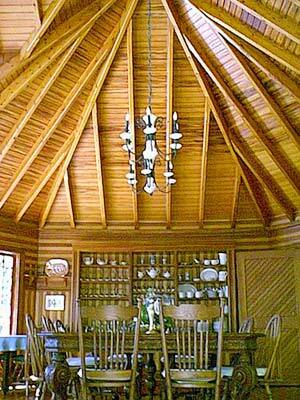 "The architecture of this camp is magnificent. The principal buildings are constructed from cobblestone that were collected from the bed of the St. Regis River by workers retrieving the stones and placing them on horse-drawn barges that were aligned along the shore." 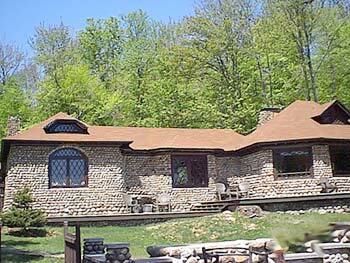 "A unique expression of vernacular camp architecture, Camp 'Cobblestone' reflects the owner's personal taste." Camp Cobblestone has been featured on PBS television and in New York magazine! click here for article in New York Magazine. 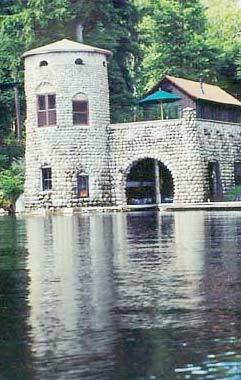 AdirondackRealEstate.com is proud to partner with the Adirondack Architectural Heritage in the preseveration of great Adirondack landmarks!